Founded in Brazil in 1980, Magtech produces quality pistol ammunition for military, law enforcement and shooters worldwide. Owned by the CBC Group, makers of the famous Sellier and Bellot ammunition, Magtech takes quality very seriously. 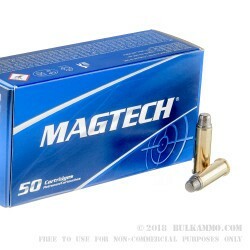 Ammunition from Magtech is produced on state of the art machinery to high tolerances using quality components. These .38 Spl Wadcutters are perfect for target shooting, plinking, cowboy action shooting, and pest control with your .38 Special revolver. Expect a muzzle velocity of around 755 feet per second and energy is around 200 foot pounds. 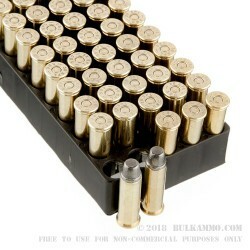 This 38 special ammunition is new production, brass cased, boxer primed and has reloadable casings you can collect if you’re so inclined. A: Hello Sue! 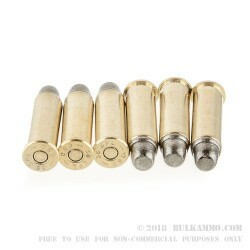 According to Magtech, the muzzle velocity of this 158 grain round is 755 fps with a muzzle energy of 200 ft. lbs.